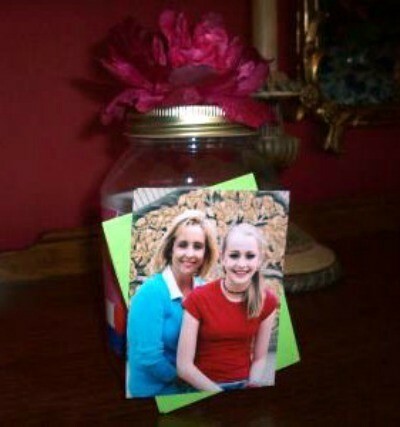 This fast and inexpensive Mother's Day jar is sure to please any mom or grandma. Cut decorative paper into an 12 inch x 3 inch strip. Wrap paper around jar and glue ends to back of jar. Cut solid coordinating paper into a 4 x 3 inch rectangle. Glue photo at angle on coordinating paper. Attach to front of jar with glue. Write happy thoughts and praises to mom on each strip of paper. Fold each strip in half and drop into jar. Glue flower to top of lid and place on jar. What a great idea! I lost my Mom at 60 from Leukemia 5 yrs ago when I was only 40 but I have so many great memories of her and things we did together to last me a lifetime. I gave her a homemade coupon book once when I was 12 for hugs, kisses, quiet time, back or foot massage, breakfast in bed, movie of her choice, and a few others. She always appreciated those type of gifts more than the monetary or store bought gifts and I have some wonderful memories of quality time spent with my mom. She never wanted flowers or candy because "flowers die" and she had congestive heart failure since she was 32 so she had to watch what she ate at all times. Anyway thanks for the great idea, I will use it to help my niece and nephew make a jar for my sister for this Mother's day.